2017 standings: McDowell, 26th in final standings (with Leavine Family Racing); Ragan, 30th in final standings; Landon Cassill piloted the No. 34 Ford to a 31st-place finish in the standings, as well. What’s new: Once again, half of the Front Row lineup will look different. 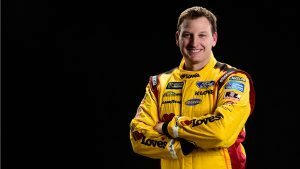 Michael McDowell makes the leap over to Ford and Front Row after a career-best 26th-place finish in the Monster Energy NASCAR Cup Series standings. He’ll have Derrick Finley calling the shots from atop the pit box after the crew chief held those duties for Ragan in 2017. Ragan, meanwhile, will have Seth Barbour leading the way. The duo previously worked together when Barbour was an engineer on Ragan’s No. 6 Roush Fenway Racing team. What to watch: The team took a small step back in 2017 after making the NASCAR Playoffs the year before with then-driver Chris Buescher. Look for Ragan to be a little more competitive this season, his second straight with the organization and fifth overall with FRM. Keep an eye on McDowell, as well, as his career continues its slow, but steady climb. Key question(s): Can this team get back to Victory Lane? Is a top-20 standings finish realistic for either Ragan or McDowell? If either can sneak into the NASCAR Playoffs, can they make a run? Michael McDowell, No. 34 Love’s Ford: McDowell has been a mainstay in the Monster Energy Series on a part-time basis since 2008, but the 33-year-old finally started all 36 races in 2017, his best year yet. The first top-five finish of his career came in July at Daytona and just about all of his peripheral stats marked career highs. 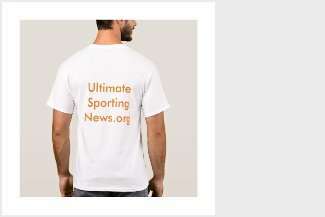 “This, for sure, is the best piece I’ll sit in or have sat in for the Daytona 500 – not just because it’s got a Roush Yates powerhouse underneath it, but just the fact that the Fords are so strong at the plate races,” McDowell said at NASCAR Media Tour presented by Charlotte Motor Speedway. “Roush has worked really hard on making sure that we can be the same as them at the superspeedways, so that we can operate like a four-car team, and then we really feel like we’re gonna have an opportunity to challenge for a win there.”The veteran seems to perform well at restrictor-plate tracks (Daytona and Talladega are two of his three best tracks based on average finish) so the move to an organization known for being among the typical wild cards at those venues bodes well for how he’ll fit in. David Ragan, No. 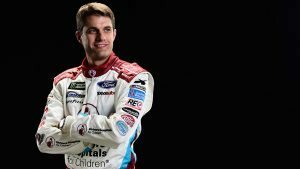 38 Shriners Hospitals for Children Ford: There were some pros and cons to Ragan’s first year back at Front Row after a one-year stop at BK Racing. While he did have three top-10 finishes — his most with the team and most since 2011 with Roush Fenway Racing — his 30th-place finish in the standings was his second worst with FRM. The seven lead-lap finishes is tied for the second-worst showing of his career, as well. Perhaps a full year back at FRM under his belt and a veteran-laced roster helps boost the team in 2018.